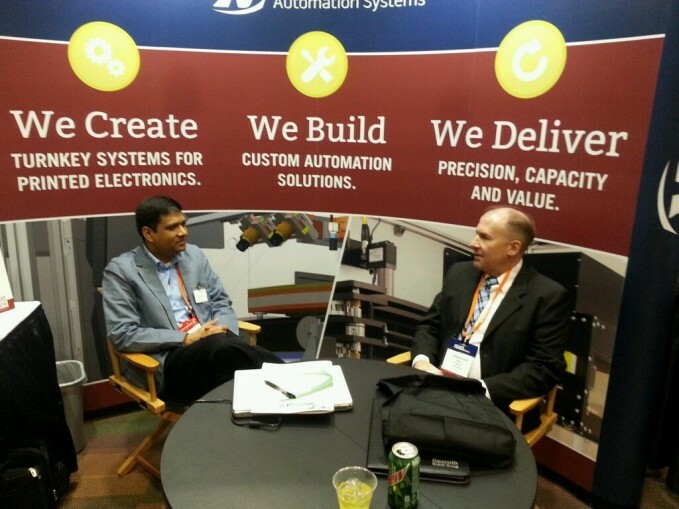 Northfield, Minn. – In early February, Northfield Automation Systems (NAS) traveled south to Phoenix, Arizona, in order to attend the 2014 Flexible & Printed Electronics Conference & Exhibition. NAS was a sponsor and full participant at FlexTech, with company president Mark Wegner presenting a session on inline metrology. NAS also hosted a booth at the exhibition, met with partners and vendors, and spent time networking with colleagues and new business contacts. Further details, photos, and more about the company’s experience at FlexTech can be found on Twitter.